Bill’s been having bad dreams. Bill has stopped sleeping. It’s been weeks since he’s slept. 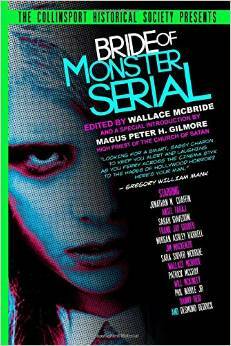 Our good friend and monster crush Bill Oberst, Jr. is at it again. Bill stars in Trevor Juenger’s new controversial arthouse shocker, “Coyote.” The film follows the paranoid degression of an insomniac writer as he becomes increasingly more aggressive and unhinged. If you’re looking for a quiet respite from the glitter and glam of the already all-encompassing holiday season… this may not be it. But this clip does have arguably the best phallic weaponry since the infamous “From Dusk Till Dawn” crotch gun. Check out the press release and the clip below, and stay tuned to SML for a review of the full film, coming soon. And then go enjoy a good night’s sleep. UPDATE: Click here to read the review. Here’s a clip from an arthouse horror film that has been banned at some film festivals and has won awards at others in its first public screenings: controversial director Trevor Juenger’s Coyote. The film stars Bill Oberst Jr. as an insomniac writer whose sleep-deprived hallucinations distort reality as paranoia drives him to extreme violence. The surreal shocker, which mixes arthouse and horror, is shopping for distribution and it’s first public screenings have elicited strong reaction. Coyote’s IMDb page shows 27 reviews, all positive. 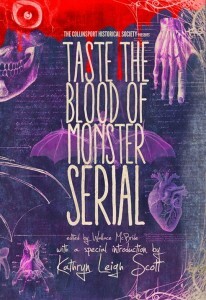 The film’s wins include Best Feature at the 2013 Unreal Film Festival in Memphis and three Feature Film Awards at Pollygrind Underground Film Festival 2013 in Las Vegas, including a Best Actor Award for Oberst. Fans of the surreal and the extreme can decide for themselves once Coyote gets distribution. In the meantime, here’s a clip that director Juenger says “may be my favorite sequence in the film,” the moments before Oberst’s character snaps completely. Coyote from Trevor Juenger on Vimeo. 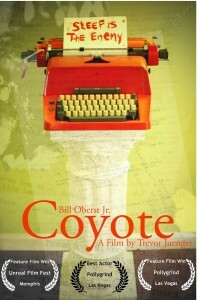 Click here for more SML coverage of Bill Oberst, Jr. Click here for the “Coyote” Facebook page. 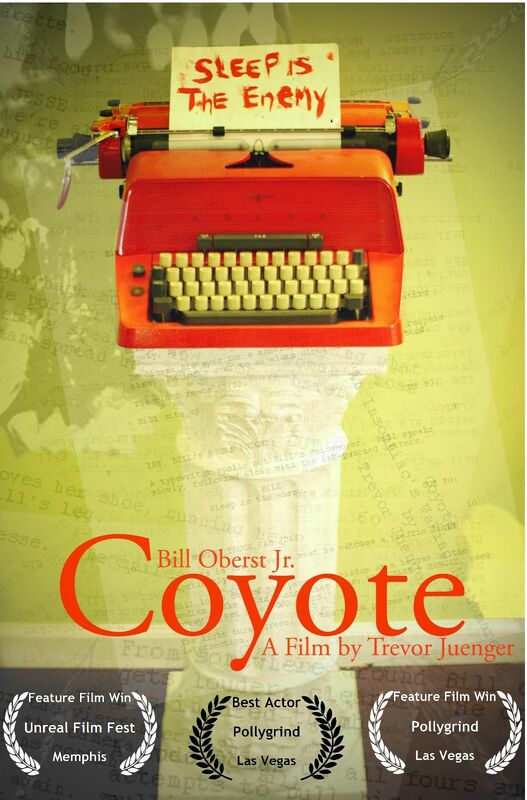 Bill Oberst, Coyote, Horror film, insomnia, press release, Trevor Juenger.